Kate, a highly valuable member of our team, runs a drop shipping store on her own – this is how she gains the necessary knowledge and experience that she shares with our subscribers and blog readers. Hi everybody, my name is Kate and I am a project manager in E-Commerce Department of AliDropship company. Here I specialize in creating, testing and analyzing promotional strategies for drop shipping stores. Mostly, I work with social networks promotion, especially with Facebook and Instagram. What’s your experience in the field of drop shipping? 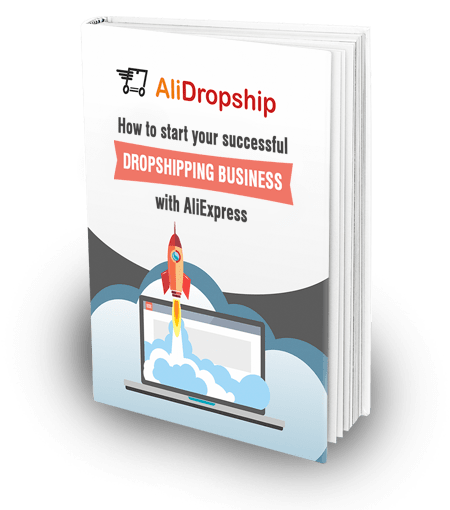 To be honest, I never heard about drop shipping before I joined the company 🙂 I started working here in 2014 as an Internet marketer assistant, and then gradually learned everything I now know about running drop shipping stores. I have a strong educational background: after my graduation as a journalist, I got 2 additional qualifications as an Internet marketer and marketing manager. Plus, I have a broad experience of social networks promotion because I used these channels on my previous job to advertise concerts, exhibitions, lectures and other offline events. Apart from this, I also used to work as a shop assistant in an offline gifts store – this is how I learned basic rules of dealing with clients, understanding their needs, managing their claims and objections, etc. Tell us more about the store you’re currently running. What’s your store platform? Which automated solutions do you use? This store was created by our team as an experimental playground. Here we test all of the technical solutions we introduce, and here I try all the possible promotional strategies. This is how we gather the necessary experience and knowledge to improve our offers, and to better understand our clients’ needs and issues. Here we use the original version of AliDropship, and not the Woo one. The store is built on the basis of DaVinci theme. And obviously, here I test all the newest add-ons that our developers create. 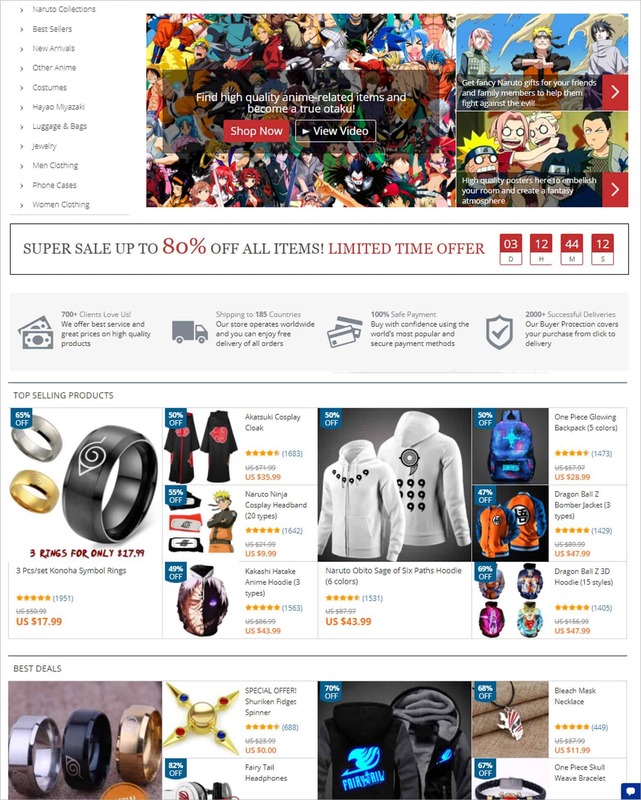 You see, the store is dedicated to fan merch – here you can find various items related to some of the most popular anime series of all time. Our team did a careful research before we finally decided that it’s ethical (and legal) enough. The reason is the following: anime producers don’t officially sell the merch themselves and don’t view it as a source of income. This is why we aren’t actually competing with them – on the contrary, we raise awareness about these series, and attract attention to them. Of course, if we’re talking about studios like Marvel or Disney, it’s a completely different story. For them, merchandise is a HUGE source of income, which is why they are so strict on the copyright laws. So, please, if you’re planning to sell ANYTHING that is anyhow related to copyrighted or branded items, check the laws twice and make sure that you’re not doing anything illegal! What’s your products strategy? How do you work with suppliers? When the team gave me the access to the store in May of 2016, there already were 100 uploaded products, so this is from where I started. Soon after I started with the promotions, I understood these 100 items are not enough. To stay competitive and to engage visitors, you need to constantly update your store offer. This article describes the algorithm of choosing the best items for a store, but I also have my own tip. The secret is the following: when you open AliExpress to find good items, don’t only look at the ‘Bestsellers’ tab. Look at the new arrivals as well! Quite often, you can find there something that will become a hot item it your store. To make sure it’s a good choice, analyze the current performance of your store – what items are bought most often? You need to find something similar. Look at the seller’s rating carefully! This is the most important parameter that helps you understand if you can trust this supplier. Plus, consider the product rating. If the product is absolutely new, it obviously won’t have any feedback yet, but if there already were some sales, it’s a good idea to look at the customer reviews and overall rating. How do you set the prices? My pricing strategy heavily depends on the target audience. The majority of the buyers are young men aged 18-24, and many of them obviously can’t afford expensive items because they don’t have their own source of income yet. I’m very cautious about setting prices: I always do it manually because it’s a different story for every new item. For example, I can increase price of rings or pendants 4-5 times – they are initially cheap, so this increase won’t be uncomfortable for a customer. But hoodies and sweatshirts are more expensive, which is why I don’t think it’s reasonable to increase their price that much. Plus, I consider the reviews from AliExpress buyers: if there are any real-life photos, I look at the quality of items and decide what percentage of price increase is fair. How did you understand who’s your target audience? I use Google Analytics to gather data about the store visitors and buyers. With the help of Google Analytics, I can see demographic features of the customers – their gender, age and country of residence. I track these parameters every day to always be aware of my customers’ data. Plus, here I can also view the most productive traffic and sales sources. Of course, Google Ads is not the only tool I use to learn more about my target audience. Facebook Ads also help me a lot. 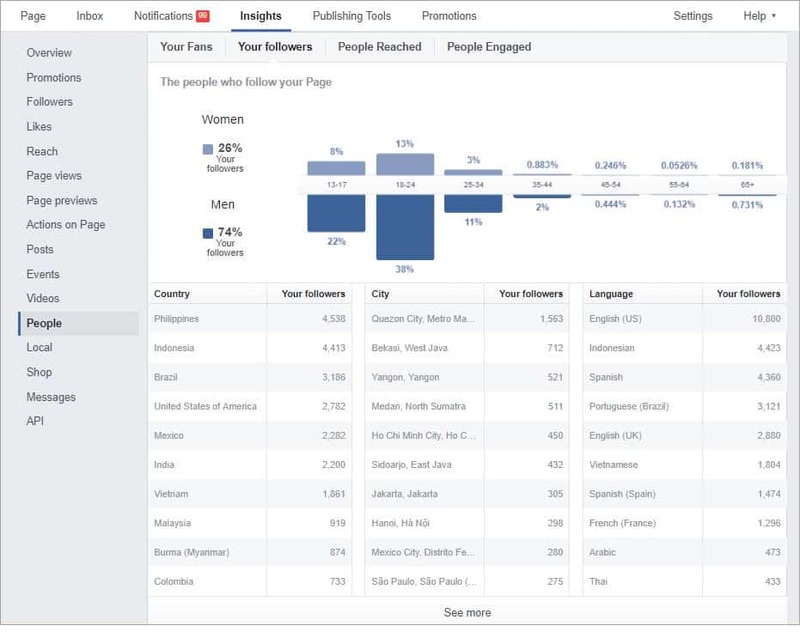 When you run a targeted advertising campaign on Facebook, it is also possible to understand your customers better. Apart from their basic features, you can learn even some personal details, for example their interests. How do you promote the store? I specialize on social networks promotion, and mostly do it through Instagram and Facebook. When I started managing this store, it already had integrated social networks accounts. At the beginning of this journey, in May 2016, there were about 3,800+ followers on Instagram – now there are more than 81,000 of them. These great results were achieved thanks to a combination of many different efforts. I started with the basic steps that don’t require any finances: writing an appealing bio, analyzing the most promising hashtags, experimenting with various post formats, etc. – some of these techniques are described in this blog post. Also, the Social Rabbit Plugin helped me a lot because he does all the job automatically. Read this article – it is a good example of choosing Social Rabbit’s settings for an efficient promotion. Apart from Social Rabbit, I also promote the store with Instagram Ads – you can read more about it here. What is also interesting, this was the first store ever where I experimented with Instagram Shoutouts. This was a challenging and insightful experience – now I can share my knowledge about it. Of course, Facebook also plays a very important role in this promotion. There were about 2,000 followers at the beginning, and now there are 34,000+ of them. To promote the store on Facebook, I use Facebook Ads. This is a type of paid promotion: my advertisements are shown in the News feed of the store’s potential buyers. Plus, the ads are also show to the people who have already visited our website, and to the ones who even put something in the shopping cart but never completed the purchase. 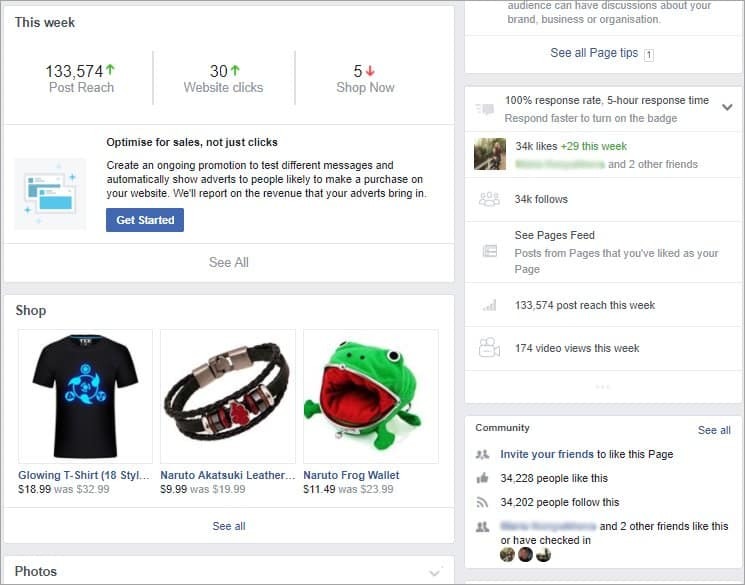 This advertising technique is called remarketing – you can do it after you set up Facebook Pixel. I don’t only use social networks for promotion because I try to experiment with other channels as well. For example, I use a specific strategy of content marketing: I find (or rewrite) interesting anime-related articles for the store blog, and advertise them on Facebook to grab the attention of potential buyers. Here, the mechanism is described in more details. I really like this method because it’s not just straightforward and obvious selling tactics: it’s all about making a person engaged and motivated to go and check out the product in the store. Finally, I use Google Shopping. It’s one of my favourite instruments because it’s semi-automated and it brings a lots of sales – on average, it generates about 300 sales per month. It works the following way: when a person uses Google to search something anime-related, the store offers get shown on the search engine results page. In other words, a person immediately sees the picture of an item, its price and description. This is very convenient because the data on the item’s price and stock availability gets constantly updated, which is why I don’t spend extra money on rewriting the ads, and potential customers become more loyal to the store offers. It was a ring 🙂 Somebody bought it right after I launched my first ever shoutout. Basically, the $5 I spent on this test promotion were a good investment! What is the store performance now? The screenshot says it all. 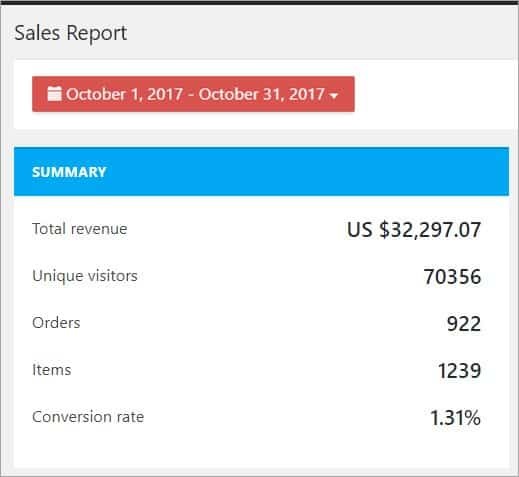 In October 2017, the store had 922 orders and more than $32,200 in revenue. The numbers are awesome, but I’ll do my best to boost them even more. How much time does it take you every day to manage your stores? Which task(s) demand more time than others? The quicker you respond, the more trust you generate. People are glad to understand they’re heard, and they become more loyal. What’s your way of dealing with clients? I try to be as customer-focused as possible. The reason is, if you are kind, patient and polite with your client, it leaves a very good impression – and it even neutralizes a negative shopping experience. If the buyer is unhappy with the delivery time, or with the quality of the received product, or maybe if a seller mixed up the order and sent a wrong item, it’s not a disaster and not the end of the world. Stuff happens. I’m always ready to talk to a client if something like this has happened, and I offer different options to solve the problem: a full or partial refund, a discount on future purposes, a re-order, etc. Obviously, it’s not all roses. Many buyers mix us up with some other sellers, and angrily demand their purchases, and say I stole their money, and swear in the comments. Once, I had a very angry guy from the US who was calling me deep in the night and shouting at me because he didn’t receive his order. It happens because the store’s niche is not really unique, so there are lots of competitors who often copy our appearance and marketing techniques. In such cases, I write a message to this person, and ask to show the official confirmation email of the purchase – after this, people quickly understand they’re dealing with a totally different store. What can you tell about your competitors? There are TONS of them. The niche itself is lucrative and not really original, which is why many entrepreneurs try to make a good use of it. And yes, many of them research my strategies and try repeating the same actions. Some of them even make social networks’ accounts that look totally like mine, which causes confusion. Look at these ones: they are really similar, right? If you don’t read the account name, you can easily mix them up. So what? As for me, competitors aren’t a big deal. They learn from me, and I learn from them. This is a 100% normal business situation. Outsmarting them is difficult but entertaining, in some way. I will enhance the product offer soon. I’ll add a new product category that is more broad and more generic that the current one, so I will be able to target several absolutely new customer segments. This will give me the opportunity to rethink the marketing strategies: I will start learning new promotional channels, such as Twitter and Pinterest. They have different mechanics, and I’m really curious to learn how to treat them right. At the beginning, it might seem like something complicated and not really understandable, but this definitely shouldn’t scare you – you will learn everything in due time. It’s a good idea to always stay in the ‘test’ mode and try out new and newer things all the time. Focus on the short-term period: before you fully understand your target audience, there’s no use in ordering an expensive ad that will run for a long time. Monitor the store performance and efficiency of everything you do EVERY DAY – as soon as you notice that something is working great, stick to this mechanism and try to improve it ever more. Never forget about your target audience – always remember their distinctive features, needs and wants, and try to be friends with them. Monitor the global trends and be aware of the hottest news and tendencies because it can make a difference in your product offer, technical solutions, marketing strategies and all that. And in general, enjoy your newly born business! Great article and very inspiring, thanks for sharing that. What kind of Abandoned cart & Live chat plugins do you use? For Live Chat we use Zopim Chat. Skype auto-responder is one the Skype settings. You could add a voicemail to your account and use it. Hello Kate do you offer a mentor service? I am looking to connect with a successful dropshipper like yourself and learn on a 1 on 1 basis to make this a career. I have a store and have been running ads but have no sales coming in. You don’t need tax registration to apply for a payment gateway. Tax registration is needed one you start making money and creating your tax reports. As for invoices, we are going to integrate a special invoice generating system soon. A very inspiring article and thank you for sharing this kind of marketing strategy. I work with media licensing, and I am always attuned to merchandise licensing – although this is not I am directly involved with. 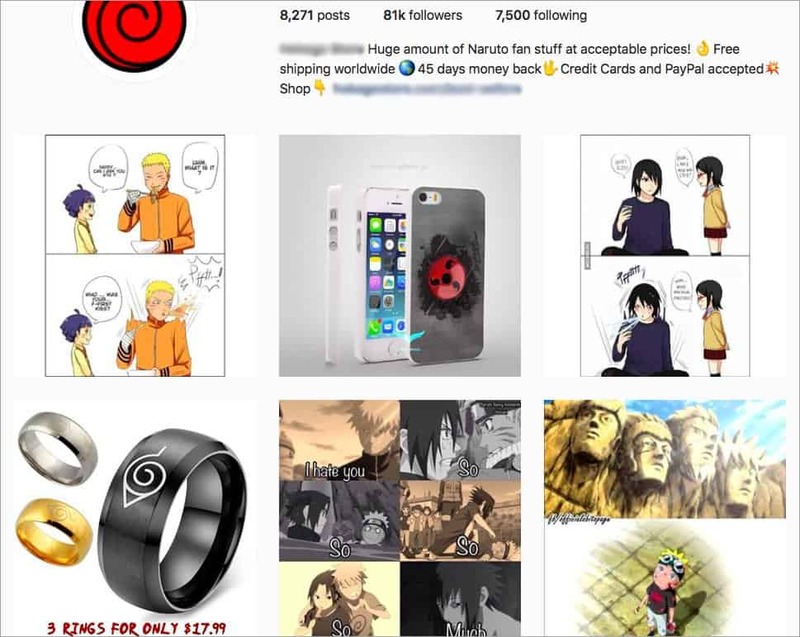 Even though the anime companies may not produce merchandise on their own, a major source of revenue for them is the licensing of their IP to companies that will produce the merchandise. A quick Google search for “Naruto Licensing” comes up with tons of data about this. It seems that Chinese manufacturers may not be licensing these IP, otherwise they would not be able to sell their merchandise for such low prices (I may be mistaken, but chances are I am not). How to you ensure you are selling items that have been legally licensed by the Chinese manufacturers? Thank you for answering this question. It will prove helpful to others who may want to pursue this type of drop-shipping merchandise model. Great article. This will be very helpful. I only have one question about the store performance. What is total revenue? Revenue from the price of the items or from your commissions. $32 000 is total revenue for this shop in October. Thank You for your article. It is very helpful. Could you mind to share with us the Live Plugin and Skype Auto-Responder plugin you are using? Lastly, the board segment you mention is another anime niche or go to other totally new niches like electronics, house appliances and etc? The FB Ads adjustments is a broad theme to discuss. I will cover it in my future articles. In drop shipping, any niche can give you profit. The main thing is to find your target audience, right strategies of promotion and traffic sources. Thank you so much for your reply, Kate! I am very looking forward to reading your facebook advertising article as I am still not too sure how to run a successful fb ads. Is there any guidance on using Google Shopping as you mentioned above? For Google Shopping, if we use certain keywords and google showing some products from Aliexpress, Amazon or eBay. Should we still using Google Shopping to list our products there? Or should we avoid it at all? Thank you for sharing your experiences and expertise. I wonder how can it (drop shipping store) be applicable here in the Philippines? It can be applicable in Philippines like in any other country. Build a store, connect PayPal and enjoy your dropshipping journey! I have a question about the type of products in the niches that seem to work using this type of business model. Please be honest with me. Do all the products have to be useless impulse items that only young people with nary a pubic hair would ever consider buying? Hi, if you target only this kind of audience, then yes, useless impulse items can work fine. can you do a post on how to start facebook ads ? Yes, I would love to know more on facebook ads too ! Thank you for sharing your story. It is very motivating. I hope i can make my store sam as yours. Godbless. Can I use Vcita plugin for payment gateway? If so, How can i put the code beside the add to cart button? It looks like you work really hard on your site and deserve that decent revenue! Can you explain why you use the standard Alidropship plugin and not Alidropship Woo? I am used to using woocommerce for other projects and cant imagine how you can run a dropshipping site without woocommerce. Can you explain the differences between the 2 plugins (are they separate? do I need to buy both or is it one plugin?) Or can you point me to a good article that explains the advantages and disadvantages of both methods? 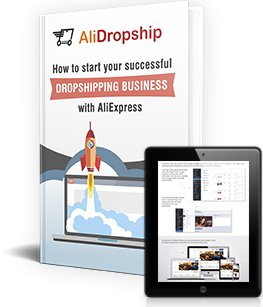 I plan to purchase alidropship at the end of the month ready for launching a new site in a new niche. Where can i sale it ? OR need my own site for it ? Please reply. I have experience listing on ebay, amazon manually. I am from India, So any tax related issue for me, like GST. Hi Kate, and thank you for your article. Love you guys and all the help we get. My question is can we use more than one website per plugin? I am just getting started but thinking ahead and planning. I have hosting here and see I can have more than one but was not 100% sure on the plugin. Tks again. You have to purchase it for each of your live websites, for me this will not work as I have a number of sites that I need to use it on therefore making it a very expensive solution upfront. So for me, at this point I am out and will be looking at more flexible solutions which offer monthly payments that scale with your business. Yes, Nigerians can register with 2CO. I have a question about the occasional pop up on the bottom left corner of the store stating someone from a certain location bought a particular item a few minutes ago. I don’t think it was mentioned in the article. 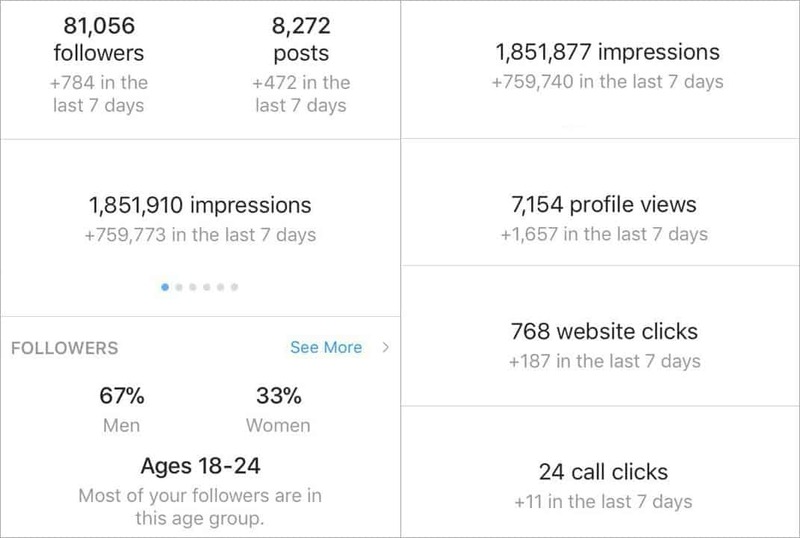 My question is how do you get your fb page’s likes and Insta followers? I am an astrologer. How can I promote my astrological solutions as business through alidrop. Please suggest. What do you mean by astrological solutions? I have been reading a lot of the literature you guys have been sending me and research myself. Ive played and looked around at aliexpress and they do have many products to try and niche into. The thing I dont get, is most items take over 2-3 weeks, some more to deliver. I cant see how customers accept this unless its a unique product of such? Hello, try to sell products that have e-packet shipping option – it’s free or costs $1-$3 that you can include in your price and the delivery takes 5-14 days.. And it’s better to offer FREE shipping, in this case people ready to wait. Thanks for sharing this success story, it’s encouraging. Please what can you say about shoe niche? I have set up a website on it already but I read different things online later about how just few people buys footwear online, obviously I didn’t know before choosing the niche. Do you suggest I change it or just go ahead to experiment? What do you think I can do differently? The issue now is delivering speed. I’m in Africa and I’m about starting a dropshipping site, my audience have a thing with quick delivery. I will like to know if it will be possible for them to get their goods in 5-6 working days before I embark on this beautiful adventure. how is this possible to work if you are based in Europe? For example delivery time of products ordered to a European country..
does this have any correlation with the Aliexpress platform? Hello, The revenue numbers are encouraging. Specific information about costs and expenses would be even more helpful. Thank you. Hello Sir, can you make a site for me i will pay for this.? Hi, Thank you for your Great article and very inspiring, thanks for sharing that. I am just getting started 2 month but thinking ahead and planning. How over a very inspiring article and thank you for sharing this kind of marketing strategy.